The crowd at UVM’s March Madness game had a tiny section of Florida State University fans. The rest of the stadium was green and gold. 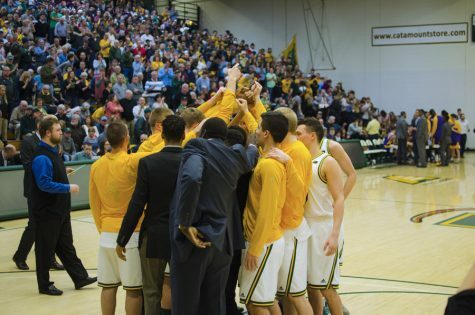 Vermont was viewed as the underdog in the March 21 NCAA tournament game against Florida State. Vermont had a No. 13 seed ranking while FSU was No. 4. 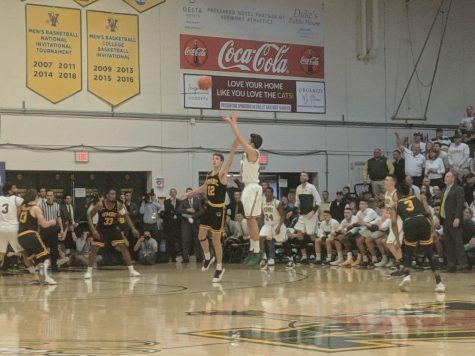 UVM remained competitive in the first half, but lost 69-76. 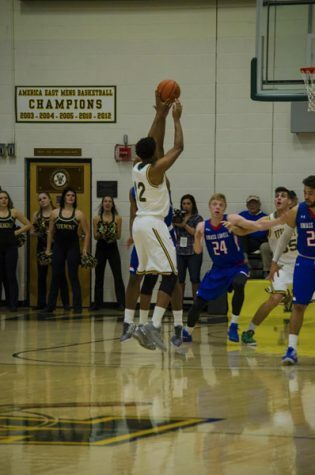 Guard Ernie Duncan, a senior, said that having the fans at the game was motivational. “We feel like it’s a home game,” he said. Before the game, head coach John Becker said that he was optimistic that UVM could pull off a win. “Hopefully we can get a feel for their athleticism and go out there and play,” he said. Vermont fan Maggie Rosa traveled from South Burlington and said that UVM could win. 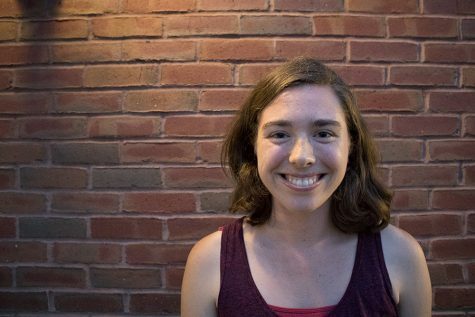 “Upsets are always possible and UVM has what it takes to beat Florida State,” she said. In 2005, Vermont fan Paul Coughlan said he went to see UVM beat Syracuse in Worcester, New York, during that year’s NCAA tournament. 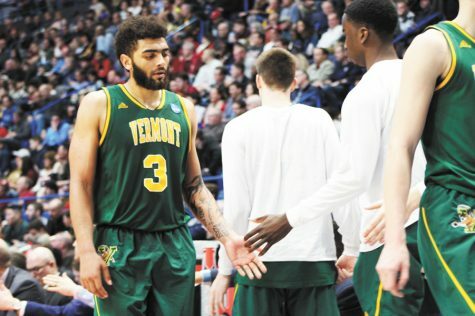 That was the first time UVM won a NCAA tournament game, according to a March 2017 Burlington Free Press article. Pulling off an upset against FSU would be possible, Coughlan said before the game. Sophomore guard Stef Smith scored 15 points total, one less than junior forward Anthony Lamb, who led the team with 16 points. Becker said that Lamb’s offensive and defensive skills were an important asset. In the first eight minutes, UVM had a nine point lead, the largest of the game. At the half, both teams were tied at 27 points. Vermont fan Nicole Smith said she was still optimistic. 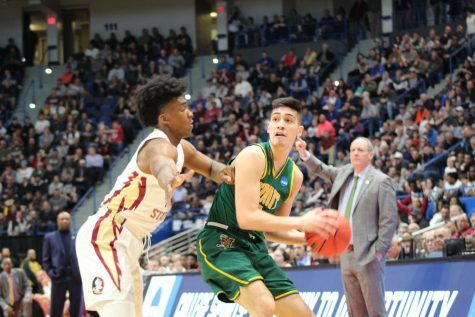 The tone changed in the second half, as FSU’s defensive strategy caused UVM to take more free throws. UVM made 54 percent of their free throws and FSU made 84 percent of their free throws. “They took a lot of fouls that resulted in getting into foul trouble,” Vermont fan Jake French said. Smith said that UVM had a hard time with Florida State’s defense in the second half. FSU forward Christ Koumadje is 7 feet, 4 inches tall, which is taller than all of the UVM players. Vermont fan Nancy Belisle said UVM performed well despite the size difference. “Florida State is a very large and athletic team,” she said. Lamb said he was aware of this difference before the game. “We haven’t faced a team as long or athletic as FSU,” he said at a pregame press conference. Corey Davis, first-year forward Ryan Davis’ dad, said that this was a good game. 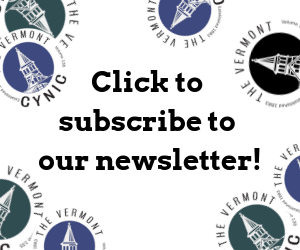 “It was a fantastic showing by Vermont and good for the program,” he said. 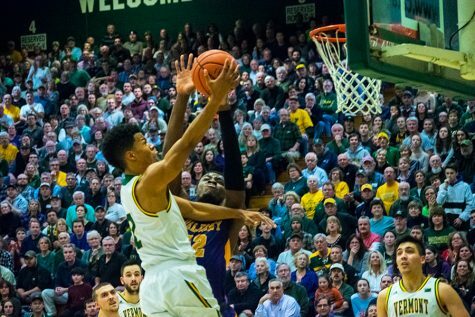 UVM finished the season 27-7 with the highest number of wins by a New England team this season, according to UVM athletics. Belisle said that despite this outcome, Vermont did well.